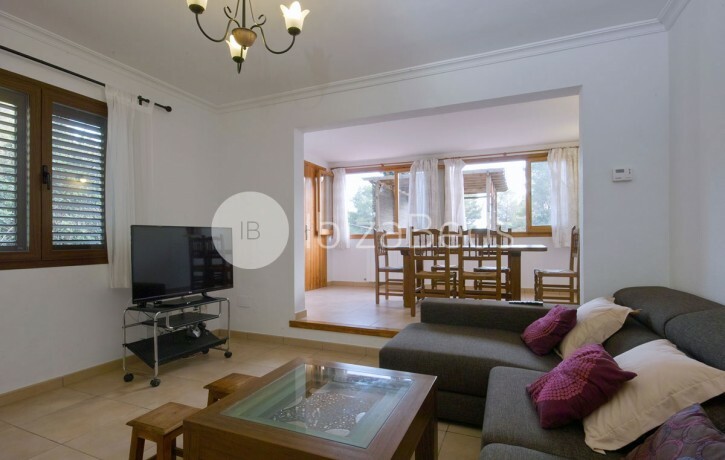 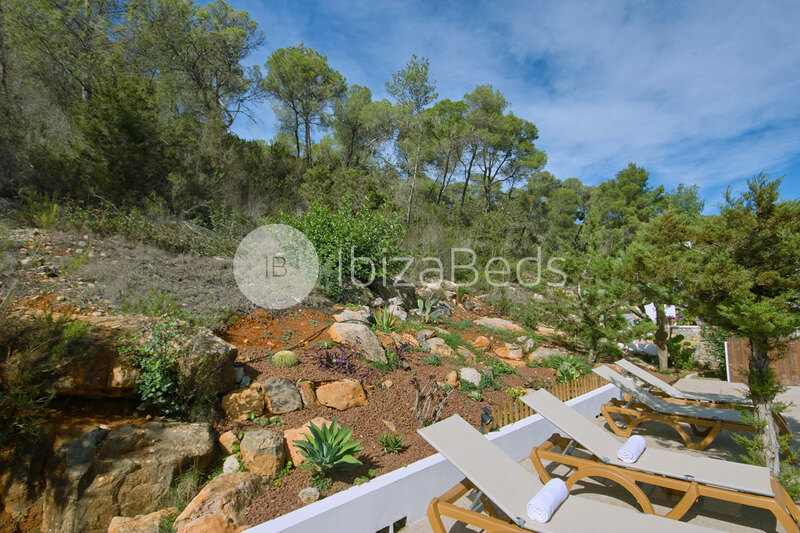 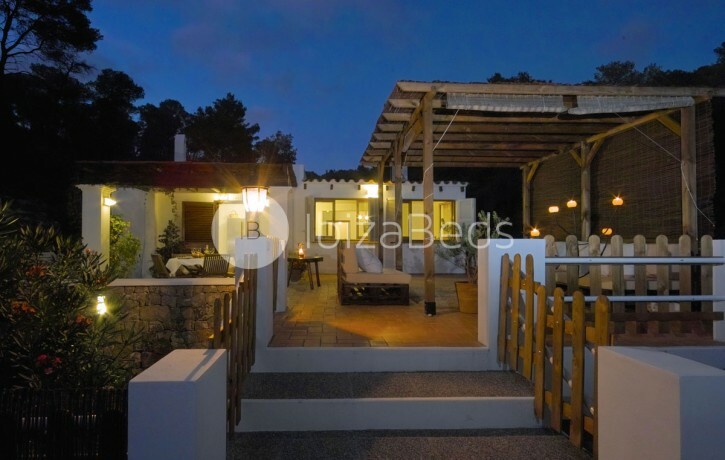 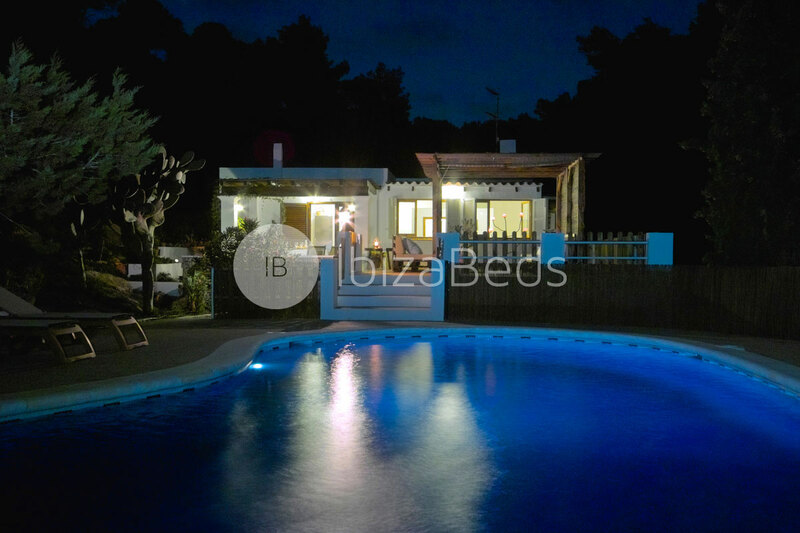 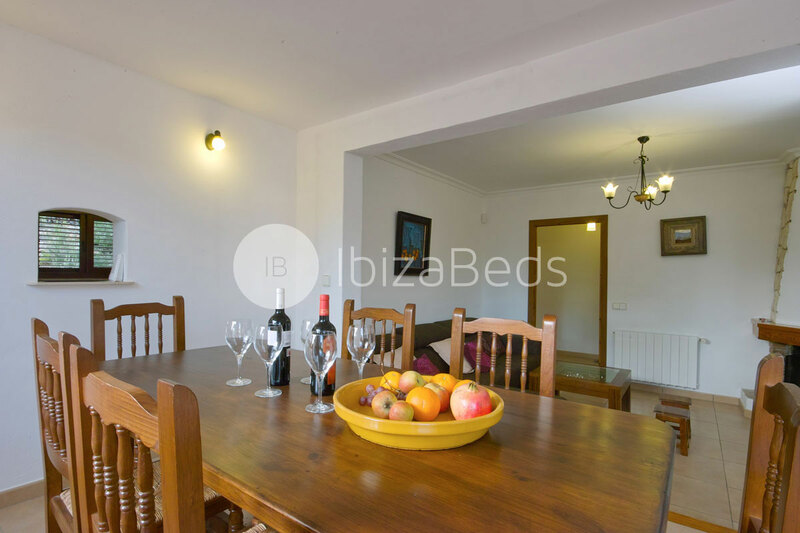 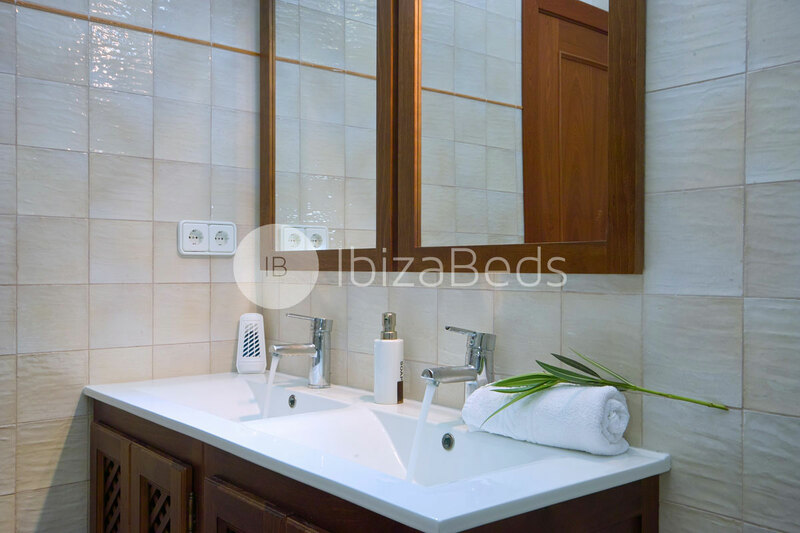 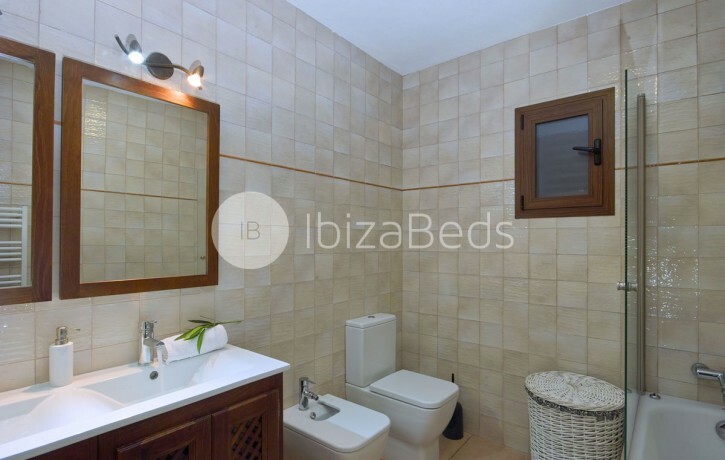 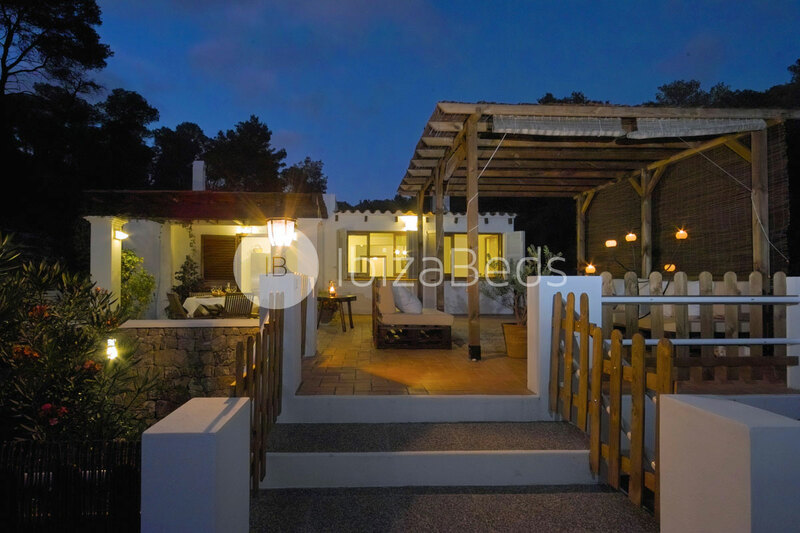 Set amidst pinewood forests in a private, peaceful and secluded location, this villa is ideal for couples wanting a romantic holiday, for the smaller family requiring quality family time together or for groups of friends looking for a quiet place, with easy access to ibiza’s hot spots. 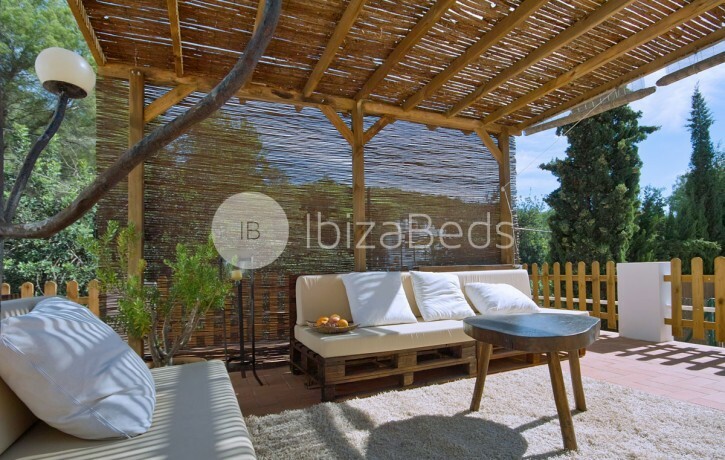 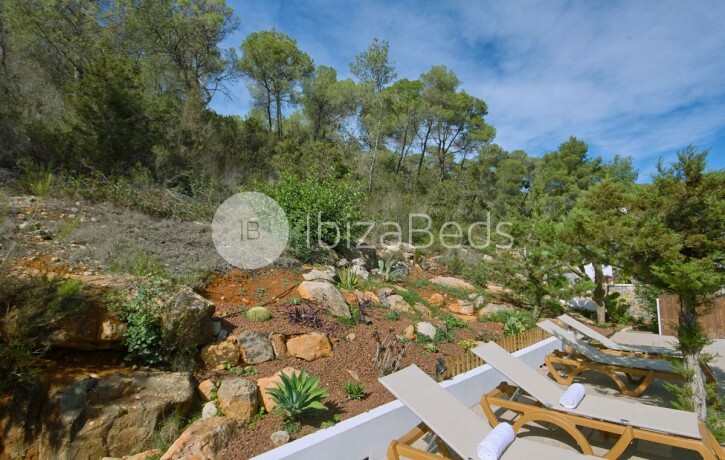 So idyllic is the location, reached via a short drive through the pine woodlands it is hard to believe you are only ten minutes drive from San Antonio and 15 minutes drive to Ibiza town. 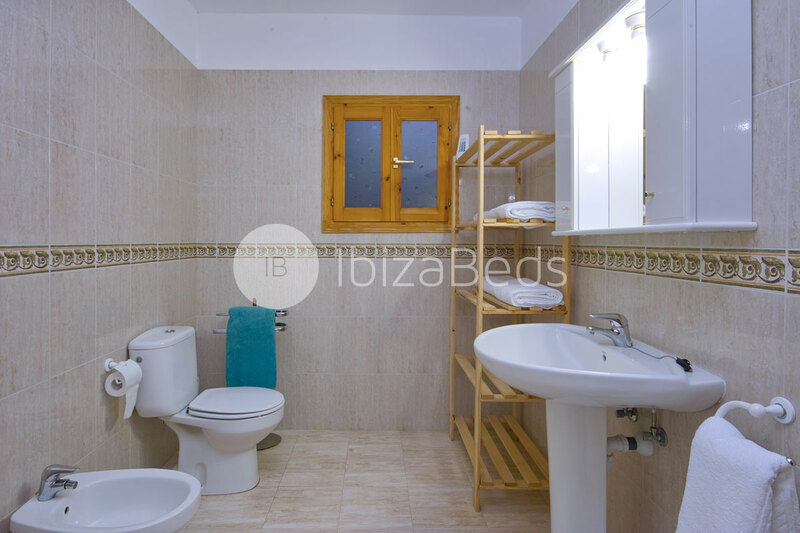 It features three bedrooms. 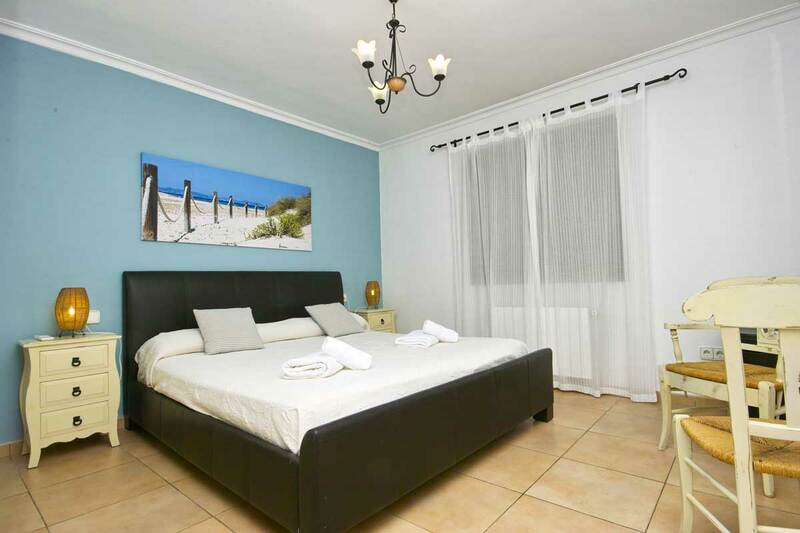 The master bedroom is spacious with a double bed and connects to its en-suite bathroom where there is a very comfortable bathub. 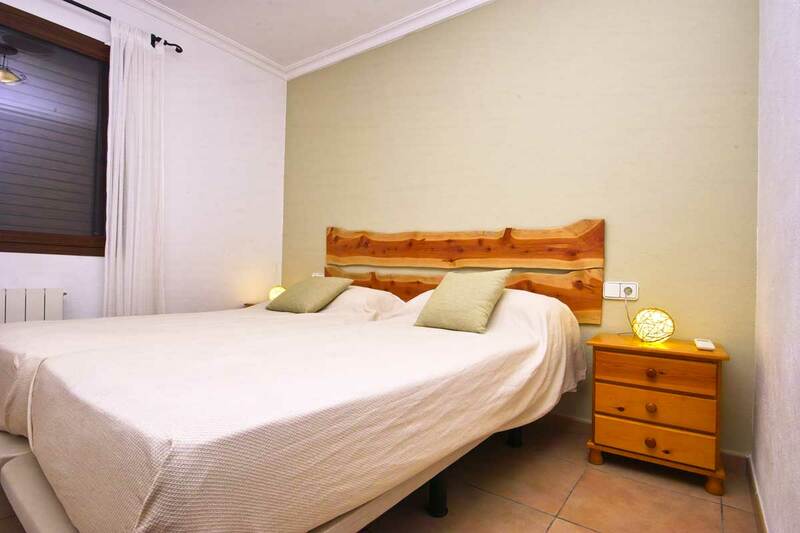 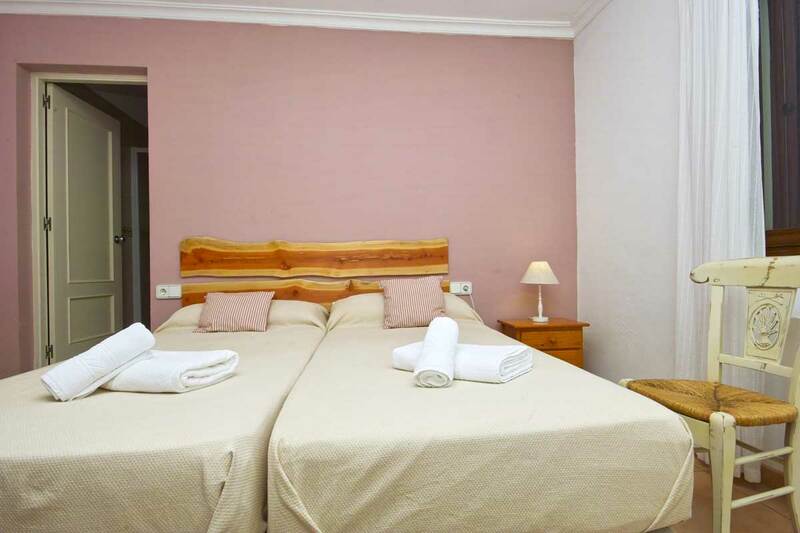 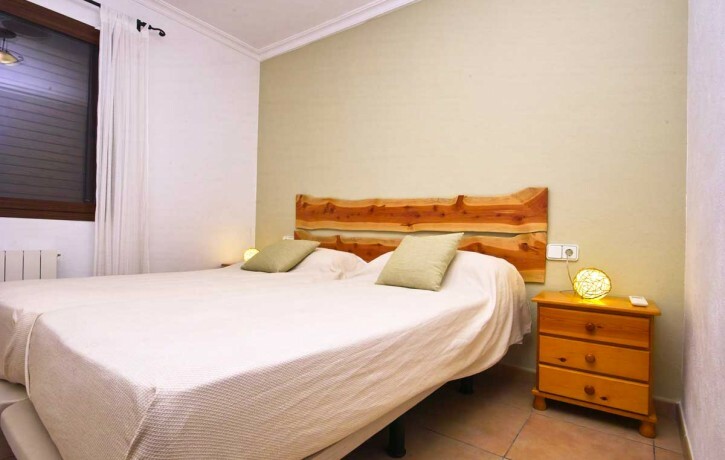 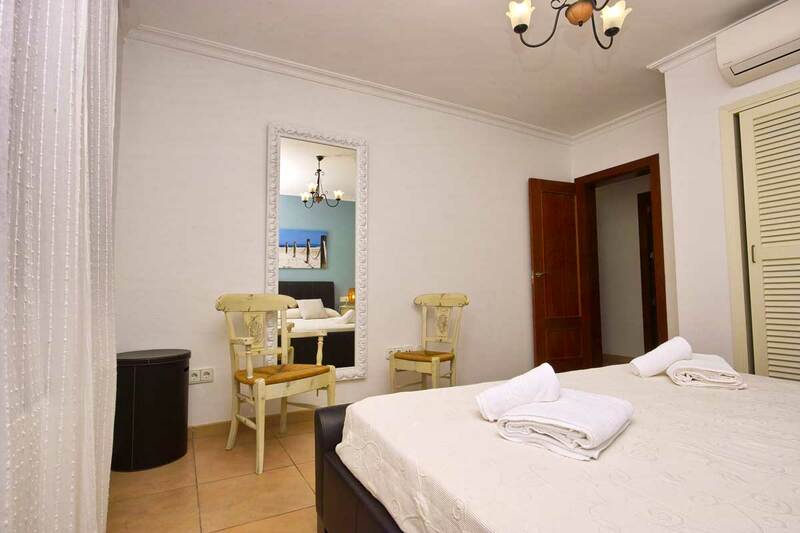 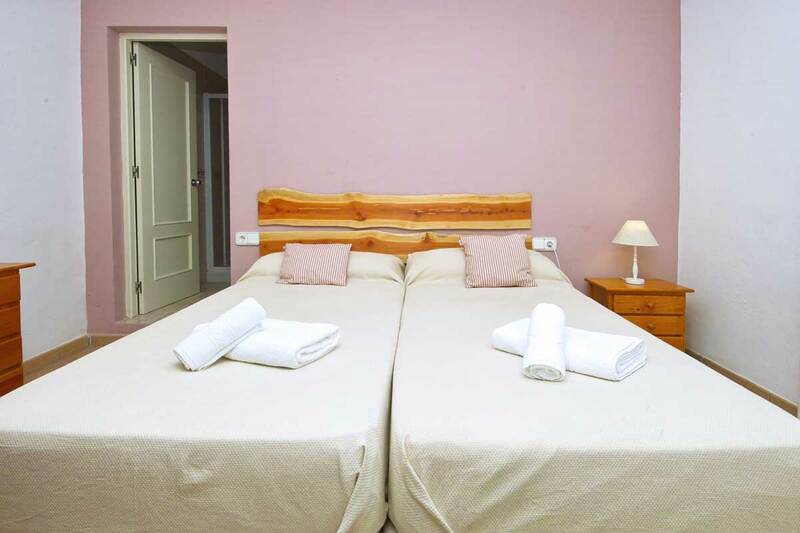 The second bedroom is spacious, equipped with a double bed, sharing a bathroom with a third bedroom which contains two single beds. 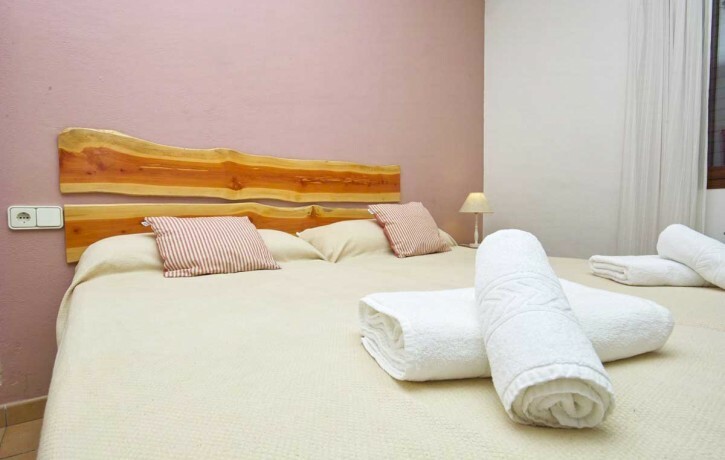 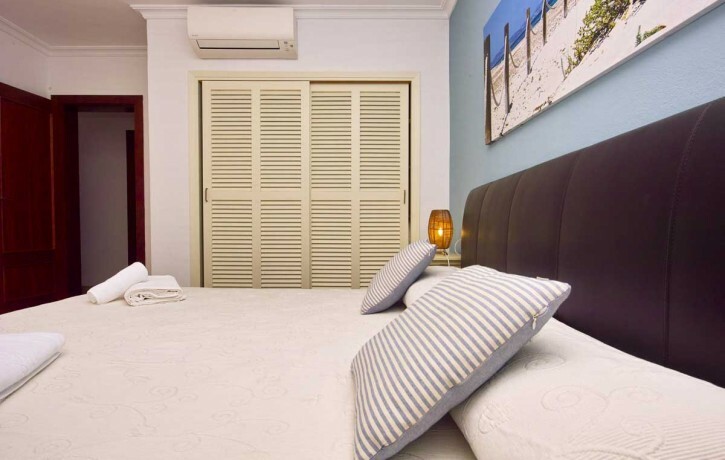 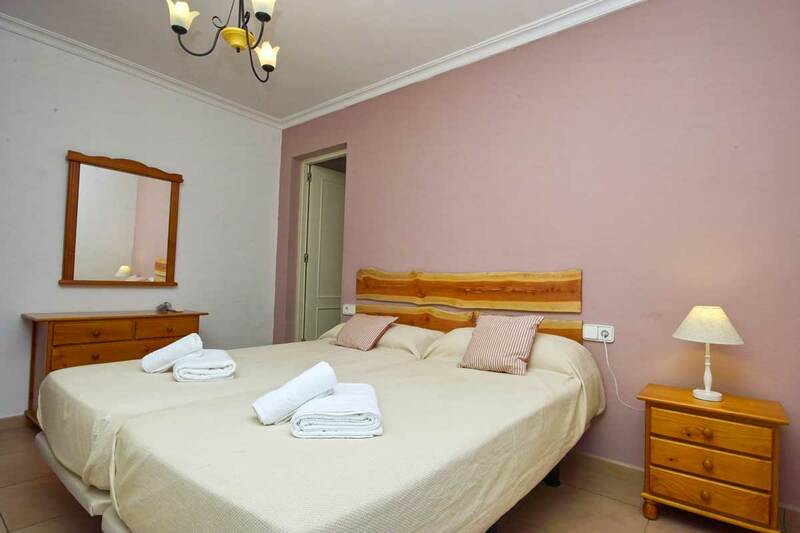 A complimentary bed can be placed in the larger bedroom to accommodate a 7th guest. 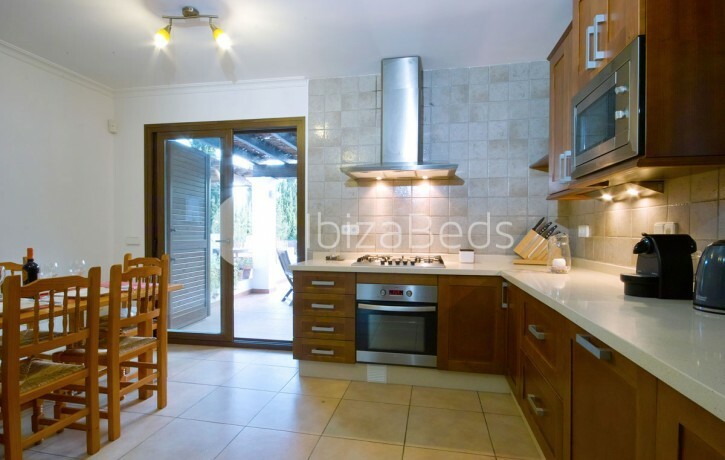 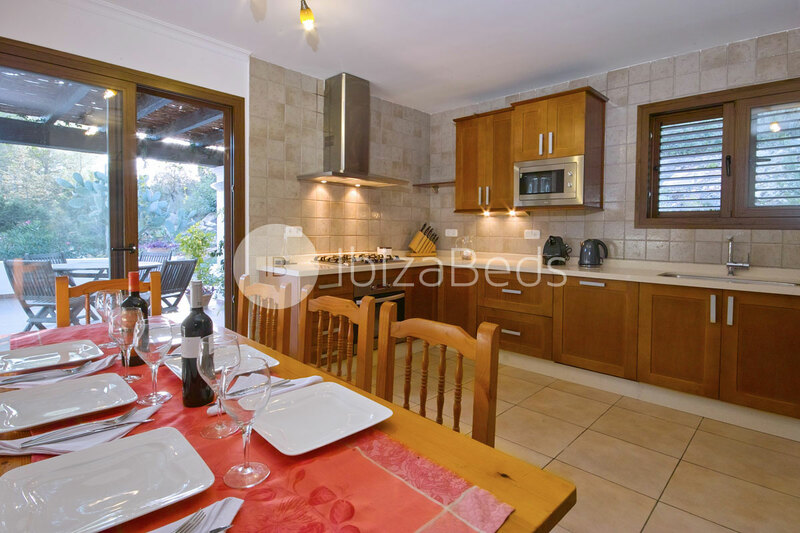 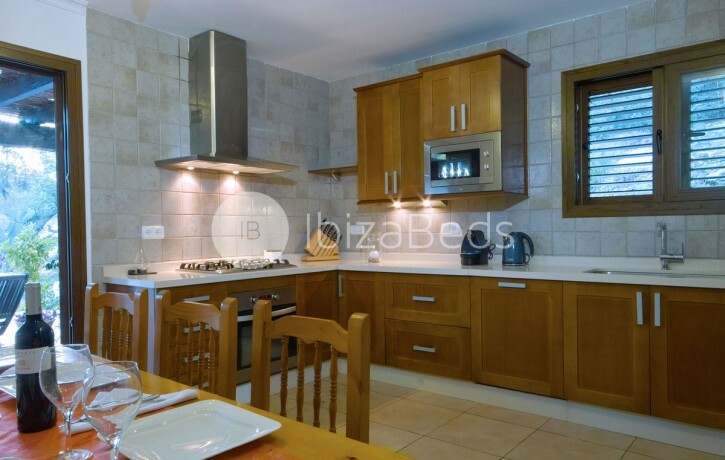 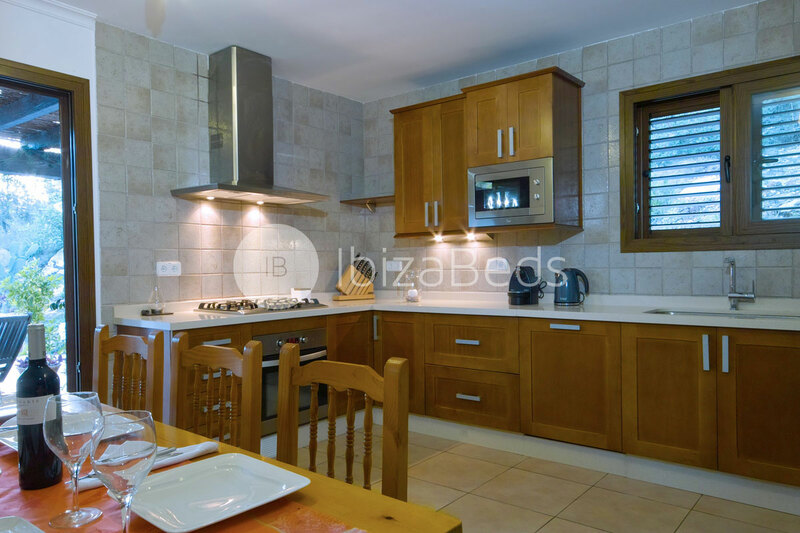 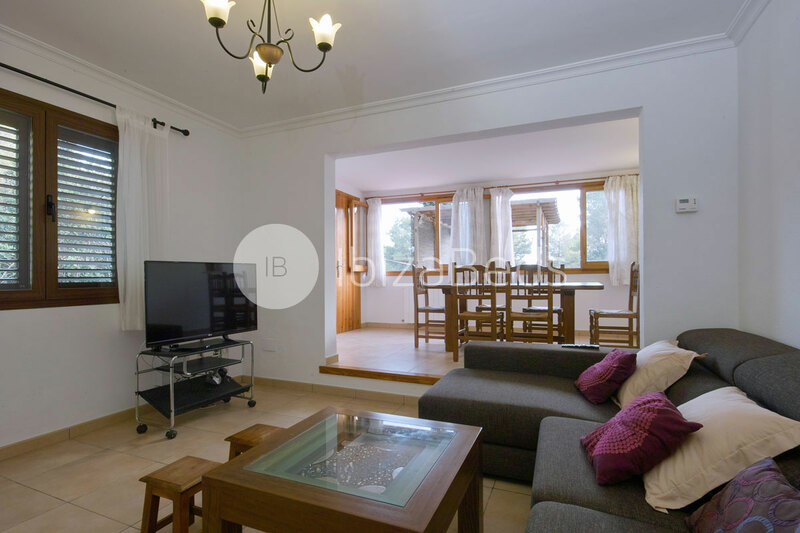 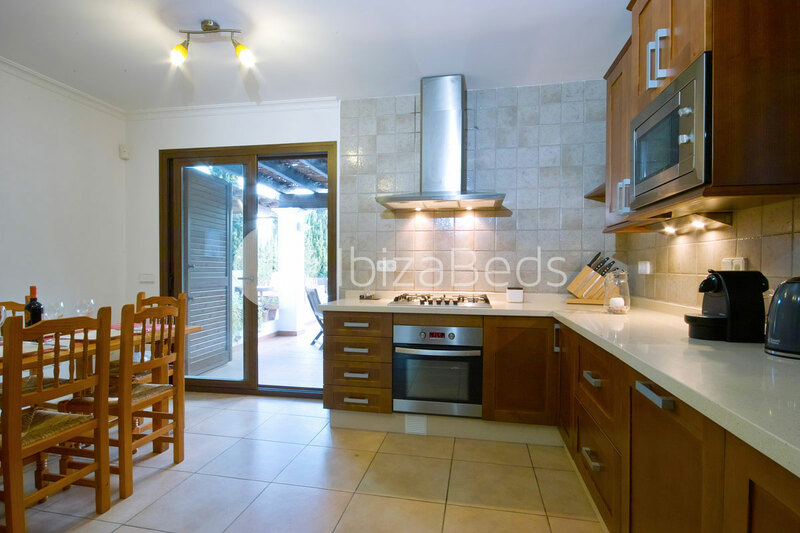 The fully equipped kitchen is large, equipped with dishwasher, microwave, fitted hob/oven and fridge/freezer, as well as the comfortable living-dining area, perfect for a nice family dinner experience. 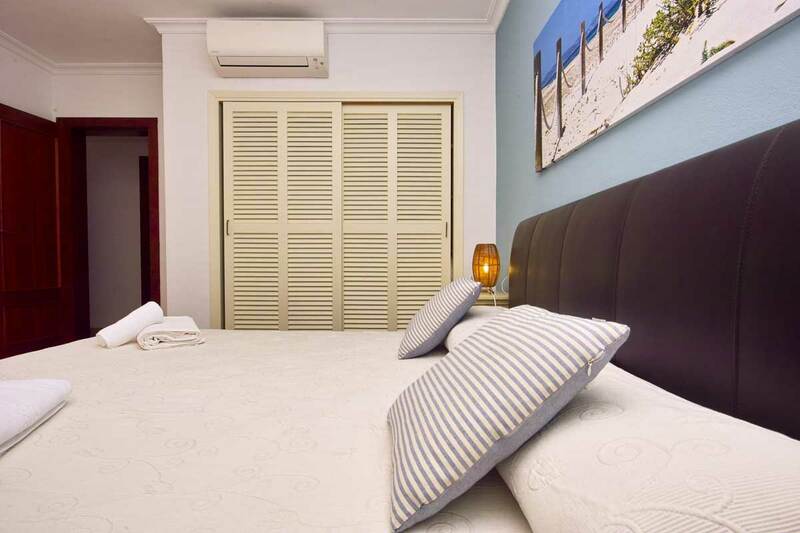 Complimentary air conditioning is provided. 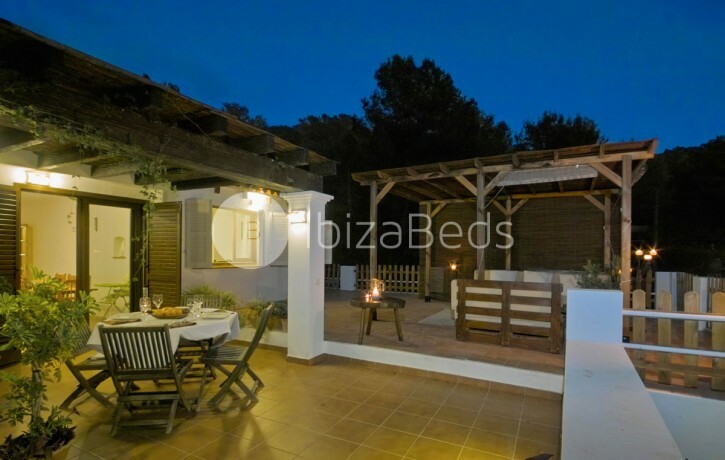 The covered patio and lounge are an ideal al-fresco dining and relaxing area. 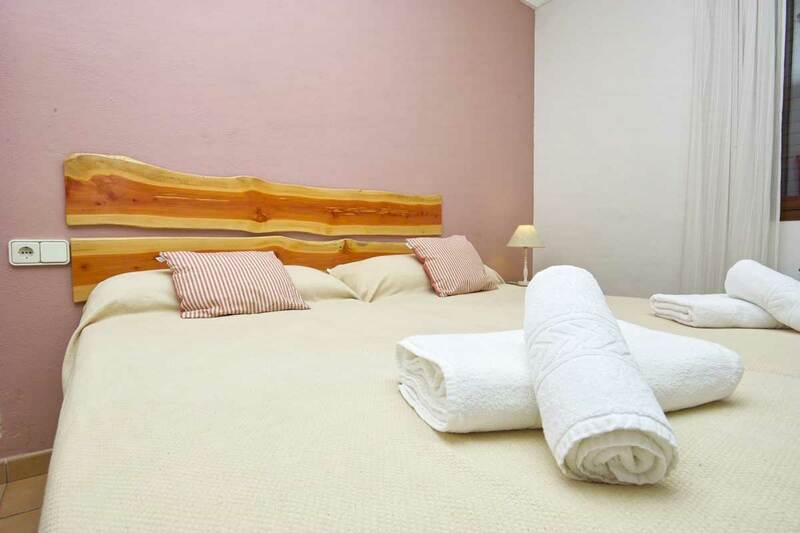 Car required, suitable for children. 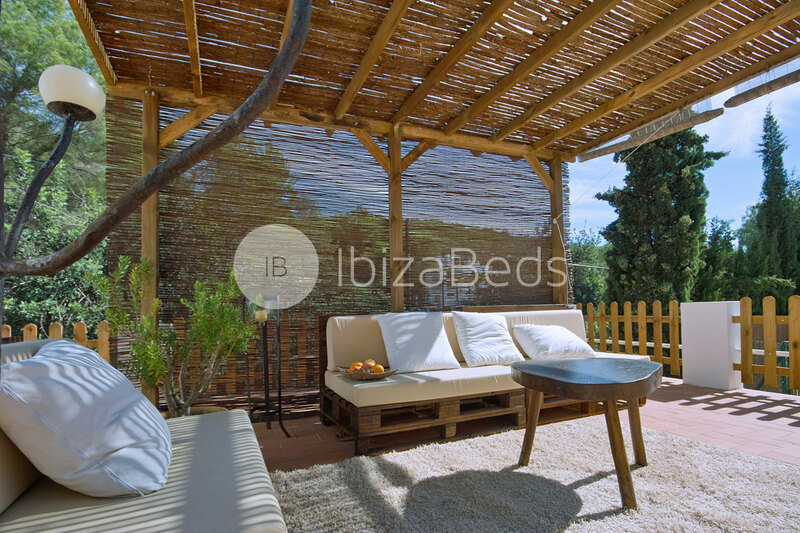 COAST/BEACH: San Antonio and the west coast of Ibiza are the nearest beaches to the villa. 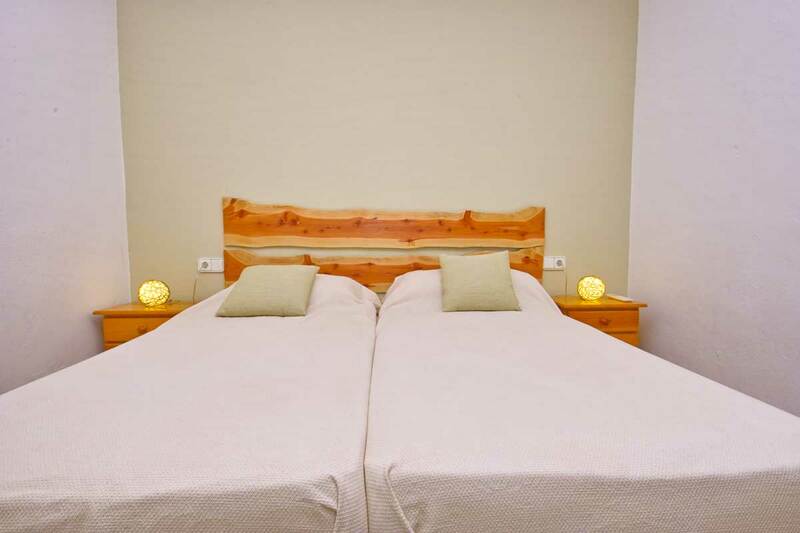 They are only at a short five minutes drive. 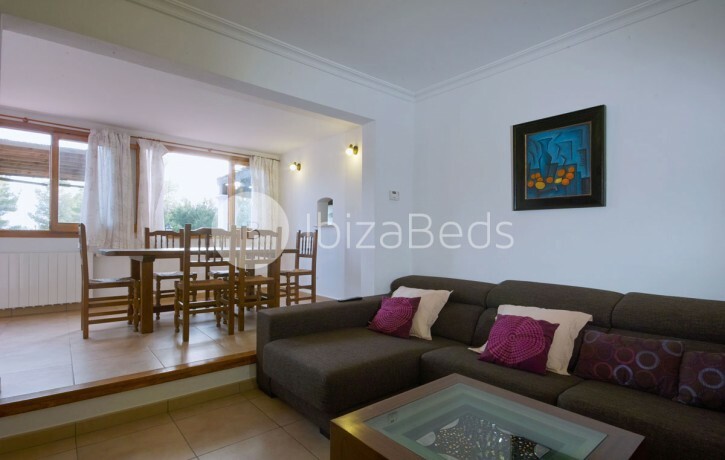 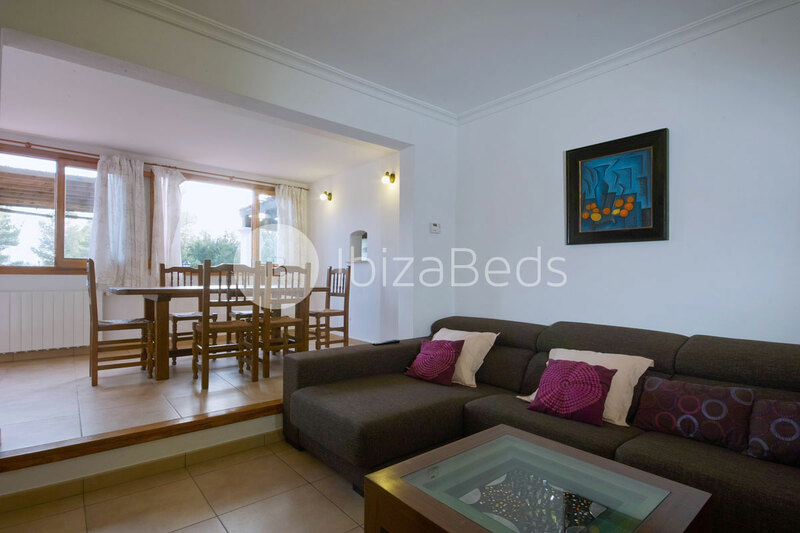 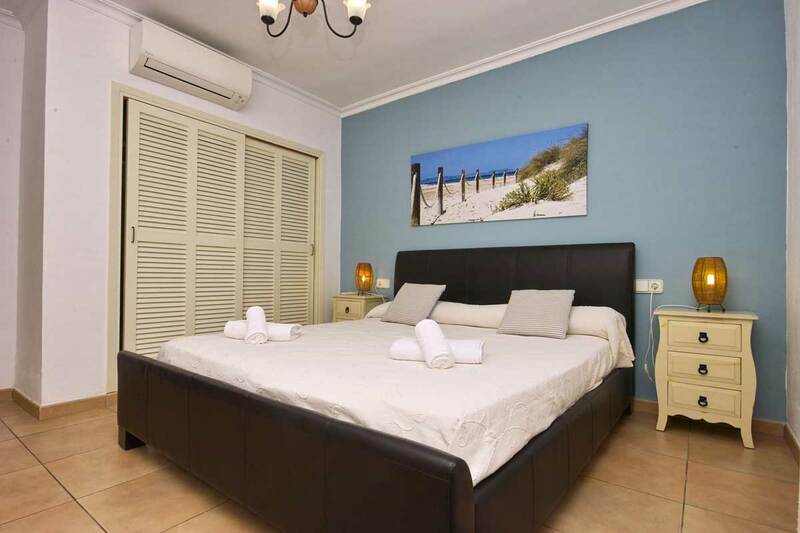 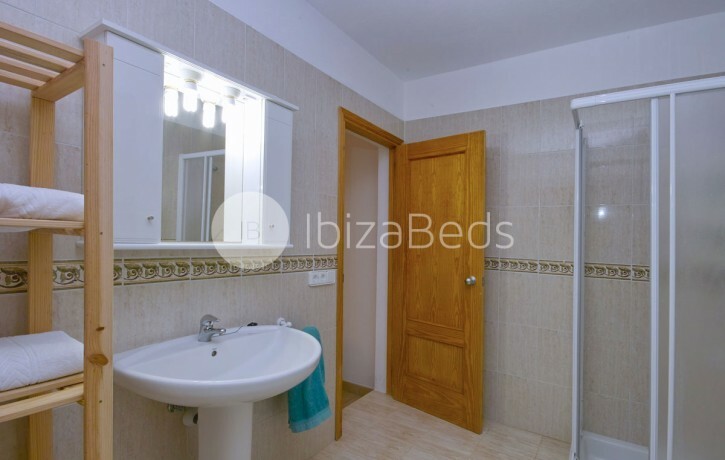 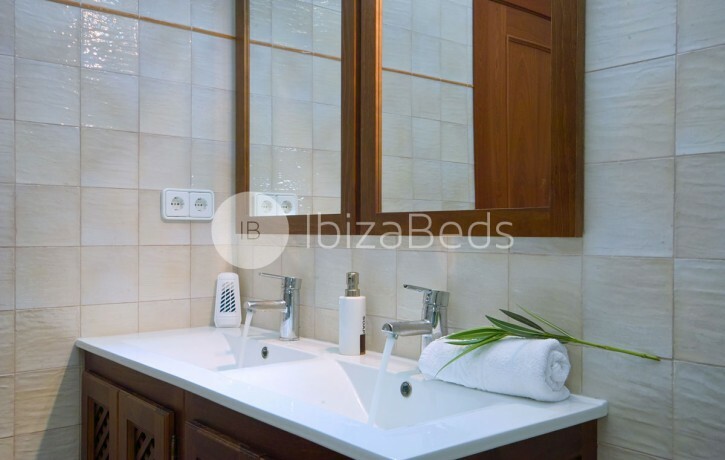 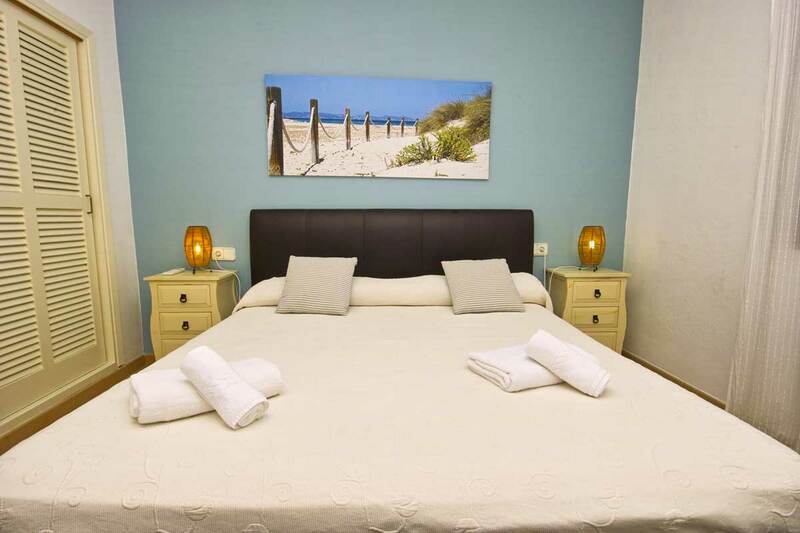 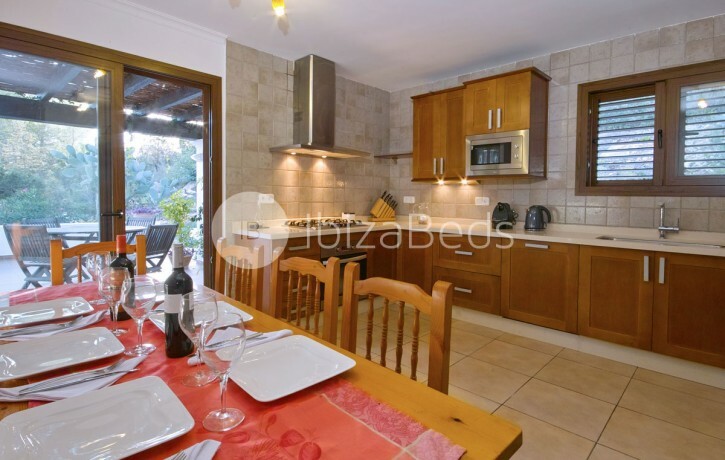 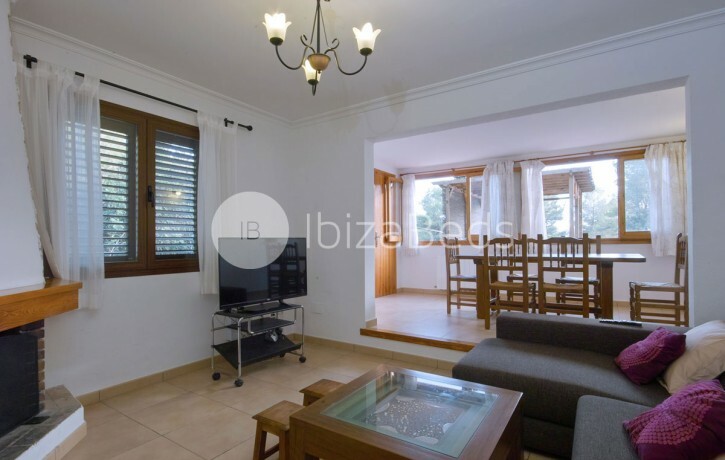 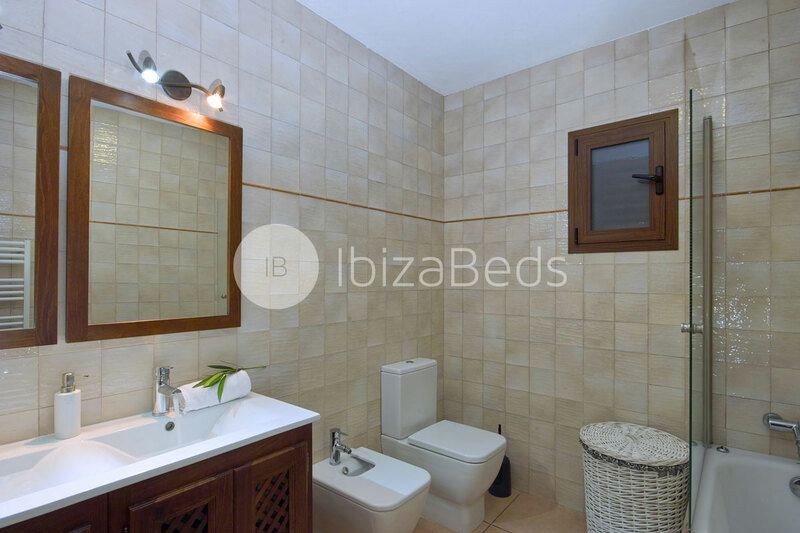 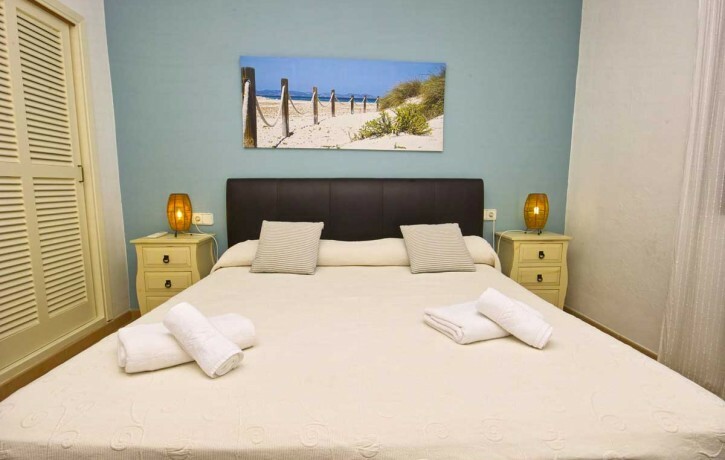 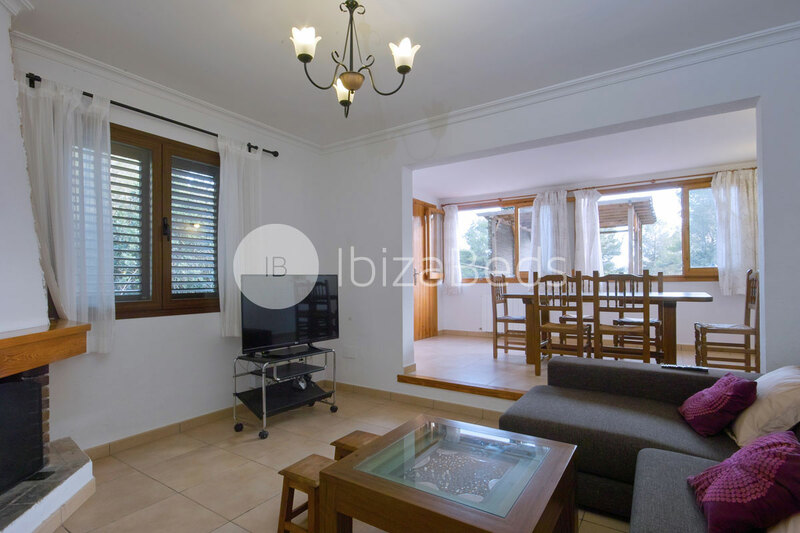 Ibiza, Playa den Bossa and Salinas are within 20 minutes drive to the villa.